Documents why the history and the future of Detroit matters in the global landscape. American Dream: Detroit release date was Tuesday, May 15, 2018. This was a 1 Day Only release. 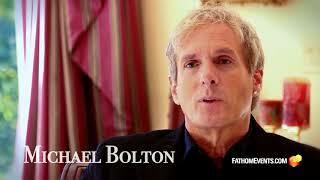 Michael Bolton, the multiple Grammy® Award-winning singer, songwriter and social activist who has sold more than 65 million records worldwide, was first drawn to Detroit while researching for his album "A Tribute to Hitsville USA." The home of his greatest musical influences, he realized that there was so much more to explore about Detroit’s past, present and future. 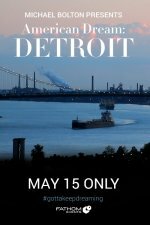 His resulting project, the engaging and uplifting documentary “American Dream: Detroit,” celebrates the golden age of the Motor City - featuring its native entertainment legends like Francis Ford Coppola, Jerry Bruckheimer, Aretha Franklin, Smokey Robinson and Alice Cooper - and reveals the landscape of a new Detroit being built by young visionaries and entrepreneurial moguls alike.